The 2020 BMW 7 Series is the epitome of flagship styling and comfort. An extensive offering of new technology includes a night vision system. Expect more powerful engines and a plug-in hybrid option. I know what you’re thinking. Isn’t the new 8 Series the BMW flagship? Not a chance. 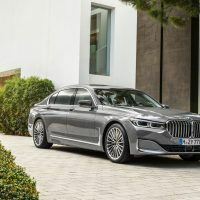 The 2020 BMW 7 Series is coming to town, and it’s here to show other BMWs who the real boss is. 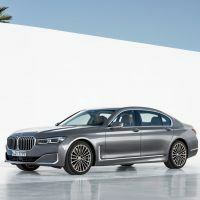 The new 7 Series is a far cry from being a just another traditional luxury-sport sedan. Although previous models were more oriented towards comfort than outright sportiness, the 7 Series never lost that “ultimate-driving-machine” mentality. 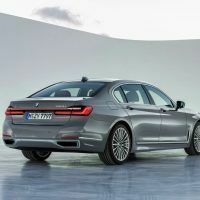 In fact, the 2020 BMW 7 Series is proof that luxury, elegance, and prestige is still on the agenda. And there’s nothing wrong with that. There is no denying that massive front grille. 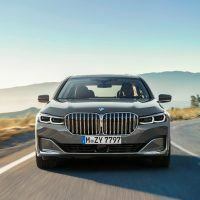 It is 40 percent larger than the kidney grille of the previous-generation 7 Series, and it looks remarkably similar to the one found on the massive BMW X7. It even comes with self-adjusting vanes that open automatically when the engine demands more cooling. 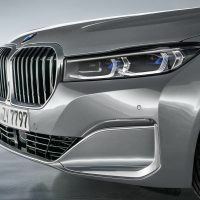 In order to further emphasize the taller and wider front, the 2020 BMW 7 Series gets a redesigned hood that extends to the top of the new grille. The lower part in the front bumper receives large air deflectors in place of conventional air intakes. However, those air deflectors are not useless pieces of styling ornamentation. They actually guide oncoming air to the brake air ducts and air curtains. The latter are located behind the front wheels to minimize turbulence around the wheel openings. 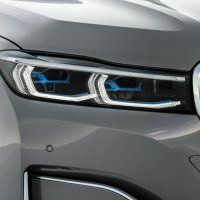 The 2020 BMW 7 Series is also one of the first BMW models to receive optional laser headlights. Yes, there are lasers in the front of the new 7 Series. According to BMW, lasers are 1,000 times more powerful than humdrum LED lights. This explains why BMW resisted the urge to equip the new 7 Series with larger headlights. Instead, they settled for slimmer units to give the vehicle a more stern and muscular fascia. 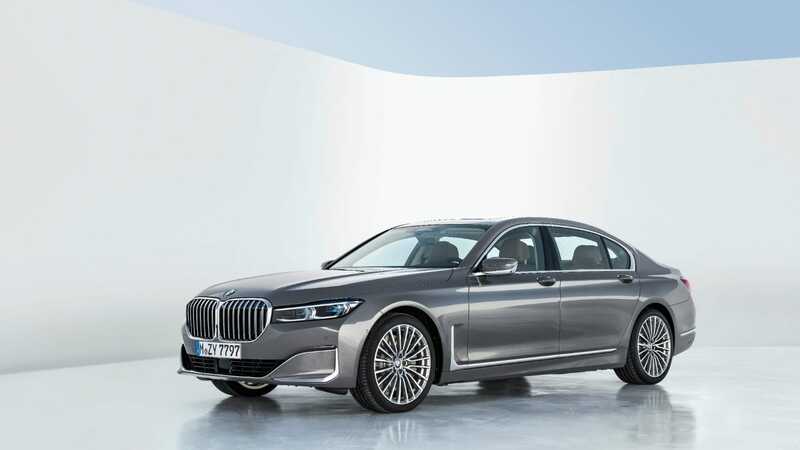 The 2020 BMW 7 Series features a larger kidney grille. Photo: BMW of North America, LLC. Yes, there are lasers in the front of the new @BMW #7Series. 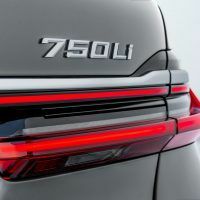 This is one of the most interesting parts about the 2020 BMW 7 Series. 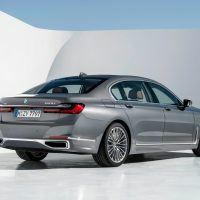 Although the new 7 Series receives a familiar choice of motors, all of them produce more power and torque; definitely not a bad thing to have in a German luxury car. The base 740i receives a free-revving, 3.0-liter inline six with twin-scroll turbocharging and direct injection. The engine is good for 335 horsepower and 330 lb-ft. of torque. The latter is available from a low 1,500 to 5,200 rpm. This is enough for a sprint to 60 mph in 5.3 seconds. The 740i xDrive can achieve the feat in 4.8 seconds. But if you’re one of those 7 Series owners who demand more, the 4.4-liter V8 in the 750i is ripe for the picking. The twin-scroll, turbocharged engine is good for 523 horsepower and 553 lb-ft. of torque, which is 80 more horsepower than the previous model. The twin-scroll turbochargers are nestled in the 90-degree angle between the two banks of cylinders. 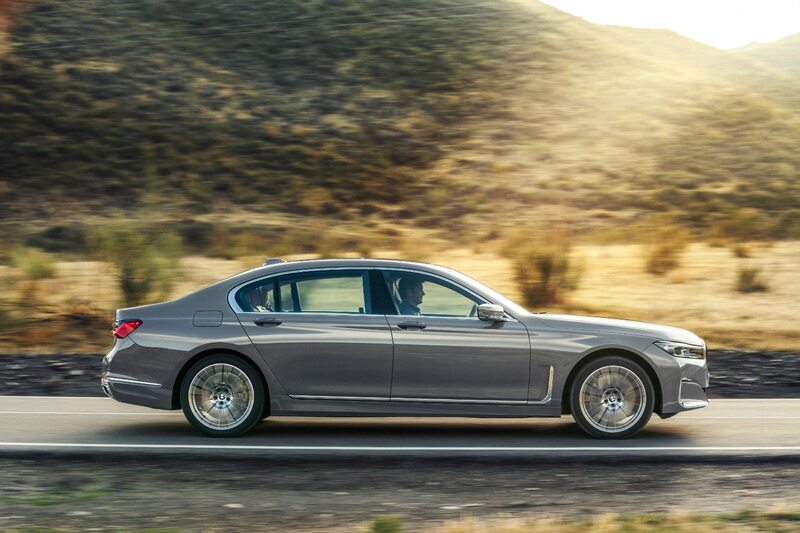 When equipped with xDrive, the 750i rushes to 60 mph in 3.9 seconds. 2020 BMW 7-Series. Photo: BMW of North America, LLC. Although the new @BMW #7Series receives a familiar choice of motors, all of them produce more power and torque; definitely not a bad thing to have in a German luxury car. Of course, what good is a new 7 Series without a new V12 motor to compliment it? The revised 6.6-liter V12 benefits from mono-scroll turbocharging and an all-aluminum construction. This enables the fire-breathing V12 to churn out an amazing 600 horsepower and 627 lb-ft. of torque. 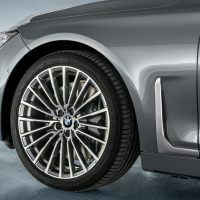 This allows the BMW 760i xDrive to sprint from zero to 60 mph in only 3.6 seconds. The 2020 7 Series is also available as a plug-in hybrid. I have no idea why you should choose this variant, but BMW saw fit to install a six-cylinder motor instead of the previous turbocharged four-banger. 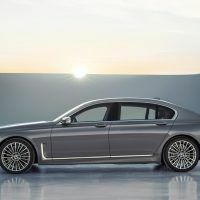 Along with a new high-voltage lithium-ion battery pack and electric motor, the BMW 745e can dash to 60 mph in 4.9 seconds. The total combined power output for the 7 Series hybrid is 389 horsepower and 442 lb-ft. of torque. No word yet on the all-electric driving range, but I sincerely hope it’s more than 14 miles. All engine variants are coupled with an eight-speed automatic. All-wheel drive or xDrive is standard across the range except for the base 740i. Of course, what good is a new @BMW #7Series without a new V12 motor to compliment it? 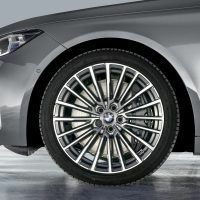 The 2020 BMW 7 Series utilizes a double-wishbone front axle and a five-link rear axle in concert with an adaptive suspension system. 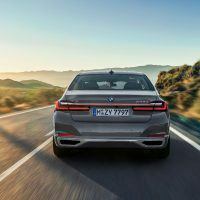 BMW says the rear suspension is unique because it employs dual elastic bearings and specially-tuned “elastokinematics” for excellent directional stability. The adaptive system comes with electronically-controlled dampers and two-axle air suspension with automatic self-leveling. The air supply of the suspension is controlled individually for each wheel, meaning the new 7 Series will remain balanced even if it’s unevenly loaded. Further, with the Driving Experience Control switch, you can adjust the damper settings manually based on your preferences. You can opt for a more comfortable or sporty ride and even raise or lower the suspension. For example, it can be raised by 0.8 inches at the touch of a button on bumpy road surfaces or steeply-angled driveways. 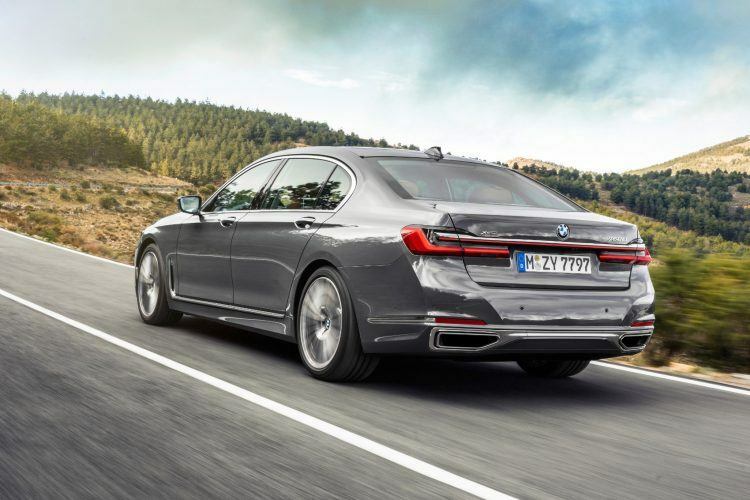 The optional Integral Active Steering is something worth adding to the 2020 BMW 7 Series. BMW says the system combines the electro-mechanical and variable ratio steering of the front wheels with rear axle steering. Ultimately, this means the larger 7 Series is easier to maneuver. For example, at lower speeds, only small steering inputs are necessary becasue the rear wheels turn in the opposite direction of the front wheels to cut the turning radius. 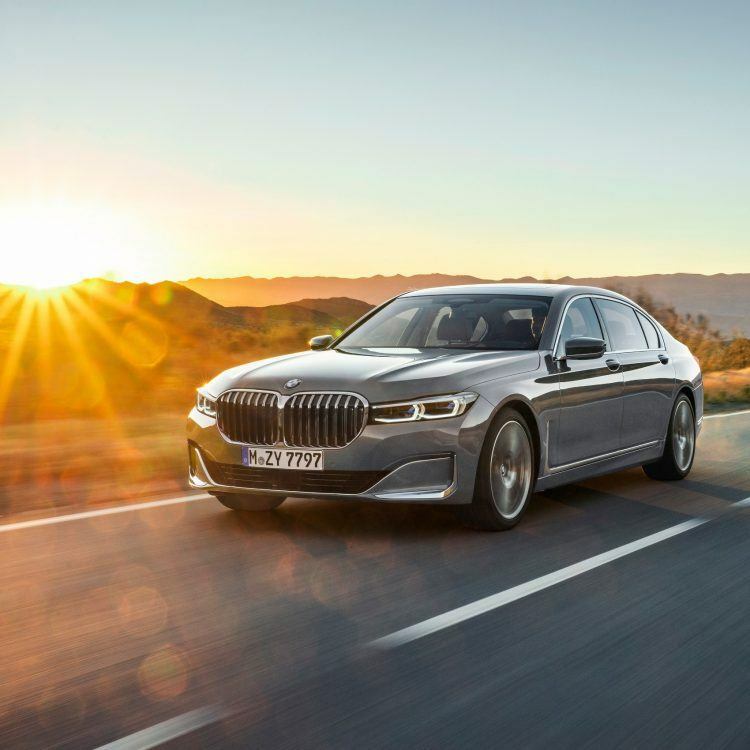 By contrast, at higher speeds, the rear wheels follow the same direction as the front wheels, allowing the new 7 Series to better follow the course set by the driver. 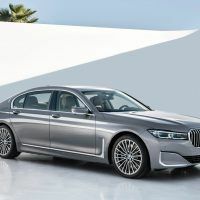 I was expecting the 2020 BMW 7 Series to come with everything (including the kitchen sink) and I’m not disappointed. On the safety front, the new 7 Series is standard with the Active Driving Assistant Package. The package includes collision and pedestrian warnings, automatic city braking, lane departure warning, and blind spot detection. 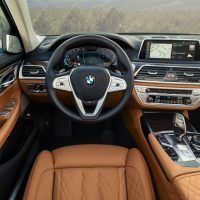 On the other hand, ticking the option box for BMW’s Driving Assistant Professional adds active cruise control, lane keeping assist, collision avoidance, and automatic lane changing with evasion assistance. Extended Traffic Jam Assistant is also part of this upgraded safety package. 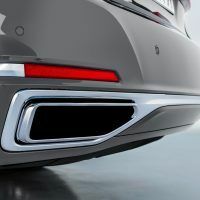 This system handles acceleration and braking and can, with the help of navigation, adjust the speed of the 7 Series for unexpected bends, turns, junctions, and roundabouts. In addition, the camera-based traffic sign recognition system uses navigation data to determine upcoming speed limits. 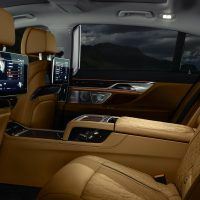 The 2020 BMW 7 Series receives a heads-up display and night vision. The latter relays a real-time video image to the Control Display showing people, large animals, and other heat-emitting objects. Any objects detected are additionally illuminated using the headlights’ marker light function. 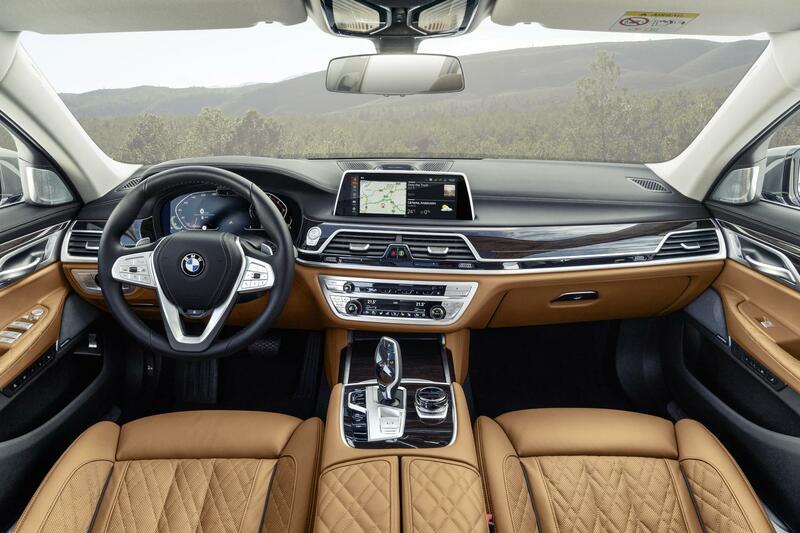 The interior is home to a bevy of soft-touch materials and coordinated design details. Premium Dakota leather is standard while Nappa leather with extended quilting is optional. The 12.4-inch digital instrument cluster and 10.25-inch control screen are standard as well. Photo: BMW of North America, LLC. The 2020 BMW 7 Series goes on sale this spring with a starting MSRP of $87,445. There are a number of additional options and packages available, each of which are detailed in the table below. Stand alone options include a remote start, 19 and 20-inch wheels, front massaging seats, and a rear seat entertainment system among others. 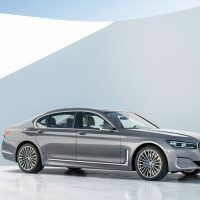 Like I said, the new 7 Series is a far cry from being a just another traditional luxury-sport sedan. M Sport Package (740i, 740i xDrive, 750i xDrive and 745e xDrive) – includes M Sport exhaust(750i xDrive only), a choice of 19 inch or 20 inch wheels and tires, M Sport steering wheel, specific aerodynamics, Shadowline exterior trim, Anthracite headliner, M door sills and foot rest and a choice of interior trim. Autobahn Package (740i, 740i xDrive and 750i xDrive) – includes Integral Active steering and Active Comfort Drive with Road Preview. Premium Package (740i, 740i xDrive and 745e xDrive) – includes Power rear Sunshade and rear side window shades, Heads-Up display along with a choice of Nappa Leather interiors. Executive Package (740i, 740i xDrive, 750i xDrive and 745e xDrive) – includes Panoramic Sky Lounge LED Roof, Front ventilated seats, Instrument panel with Nappa leather finish and ceramic controls. Additionally on the 750i xDrive, this package includes Power rear sunshade & rear side window shades. Cold Weather Package (740i, 740i xDrive, 750i xDrive and 745e xDrive) – includes Remote Engine Start, Front and Rear Heated Seats and Heated Front Seat Armrests and Steering Wheel. Interior Design Package (740i, 740i xDrive, 750i xDrive and 745e xDrive) – includes wood grab handles, Rear Seat Belt Cover in wood trim, Rear Center armrest with wood trim, Luxury Rear Floor Mats and Alcantara Headliner in Coordinated Upholstery Color. Luxury Rear Seating Package (All models) – includes Rear ventilated seats, rear comfort seats, Heated steering Wheel with Front & Rear Heated seats and armrests, Rear Massaging seats and 7 inch Touch Command Tablet. Driving Assistance Professional Package (All models) – includes Extended Traffic Jam Assistant for limited access highways, Active Cruise Control with Stop & Go, Active Lane Keeping Assistant with side collision avoidance, Steering and Traffic Jam Assistant, Automatic Lane Change, Evasion Assistant & Cross-traffic front alert. 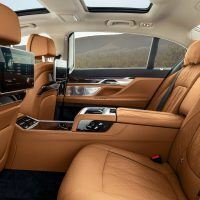 Rear Executive Lounge Seating Package (750i xDrive and M760i xDrive) – includes Electric Reclining individual rear Seats and Footrest (on passenger side), Executive Lounge Rear Center Console, rear Entertainment Professional.